A complicated system; a complex. If you've ever been utterly exasperated by the gratuitously complex nature of things, then complexus is just the word you need. As a noun, it means a complicated system made up of many different parts, and could be likened to a Rube Goldberg machine, which is a piece of equipment that performs a comically simple task in a ridiculously complicated manner. 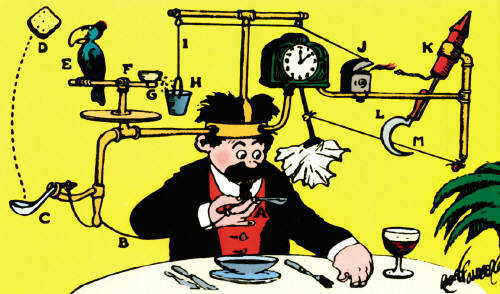 The Rube Goldberg is a common trope in movies and a particular favourite of supervillains. After all, why kill the hero with a bullet to the head when one can utilise a vat of sharks, numerous cogs and pulleys, a candle burning through a rope, a mouse dangling over an elephant's head, sneezing powder, a bowling ball on a set of tracks and a small Jaffa Cake? Sure, you need a degree in engineering to put it all together, and the logistics of keeping all the animals is a nightmare (not to mention having to get the final machine signed off by someone from Animal Welfare so you can run the 'No Animals Were Harmed in the Killing of this Hero' disclaimer), but it's so much more suspenseful, exciting, and downright villainous! A bullet to the head? Bah! The Rube Goldberg complexus is the only way to go. 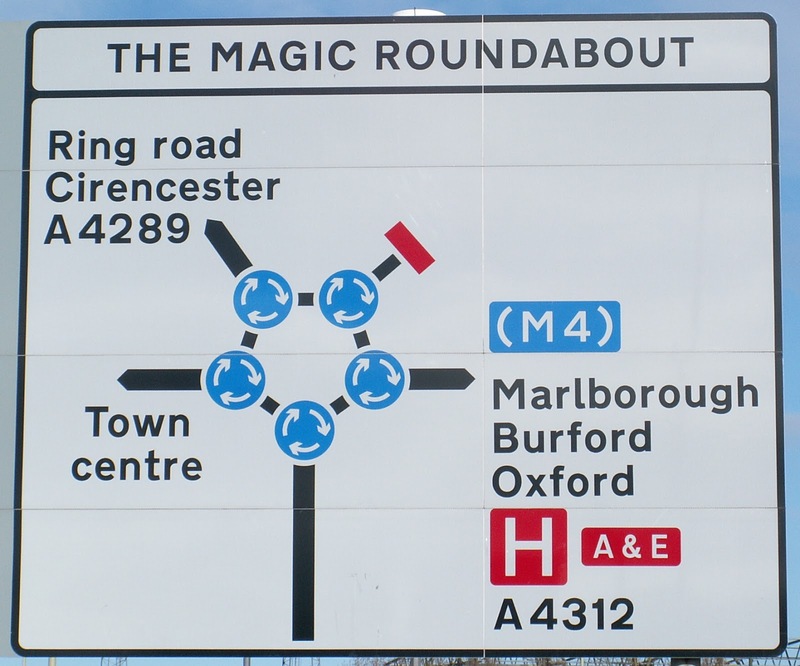 Finally, let me mention the infamous Magic Roundabout of Swindon, a fiendishly intricate junction that I had the pleasure of traversing during my driving test at 17. And no, I'm pretty sure I didn't do it right - but thankfully the driving instructor looked as nonplussed as me, and probably couldn't tell if I'd done it right either. I passed, but I hereby pronounce the Magic Roundabout to be an insurance-inflatingly crass complexus. The next time you're faced with the criminally complex, the cunningly convoluted, or the cryptically circuitous, shout 'Complexus!' with Lavignesque exasperation. Confucius said that life is really rather simple, but it's only on our insistence that it becomes complicated. So let us simple-minded folk fight back and reclaim simplicity from the simpletons. Do please leave your simplest comments below. That roundabout is a real thing? As if a normal one isn't complicated enough sometimes... Well, nothing beats the one around the Arc de triomphe in Paris, I suppose? The sign doesn't even show how confusing it it is - follow the link the Magic Roundabout in the post and you'll see an aerial view of it. While crossing the Magic Roundabout on the day of my exam, I think I got the first mini-roundabout right, got a bit flustered on the second, and then ended up just driving straight over the last one. I've only been across that famous Paris roundabout in a bus - the driver told us all that no one is insured while crossing it which, if that's true, is ... just ... wow. As to the Really Toxic pipe complex, I presume that the array is repeated for floors above and floors below. I would be surprised if it can be simplified as there are obviously five toilets on each floor. 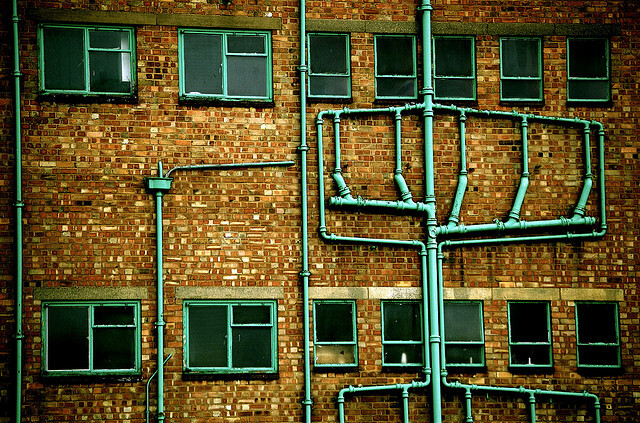 Pipes have to remove the effluent and carry it downward without it coming up in the toilets below, and other pipes have to act as air vents upwards so as not to get an air lock problem. I can certainly think of a more complex way of doing it with yet more pipes. Anyone interested? On second thoughts, there isn't a floor above otherwise the system would break down. The top single pipe must be just a vent to air. I still think it can be done more simply - in medieval times they just lobbed their 'effluent' out of the window with a bucket. You can't get much simpler than that! PS The Magic Roundabout in Hemel Hempstead is worse: it consists of SIX roundabouts round a central one. As a matter of fact, it works brilliantly. Yup. The Jaffa Cake. Everything in life, including a Rube Goldberg machine, is improved by the addition of a Jaffa Cake. I've never seen the Hemel Hempstead Magic Roundabout, though I'll take you on your word with its efficacy. I like my roundabouts simple, round and absolutely singular. How big does a roundabout have to be before it becomes a circular road? e.g. North Circular Road? Taken to it's extreme, the M25; which is also sometime described as a circular car park. "No portion of the inner-roundabout may have its own postcode while retaining the denomination of 'roundabout'." That's according to directives issued by the European Union. No it isn't. I made it up. But expect it to feature in UKIP campaign soon.